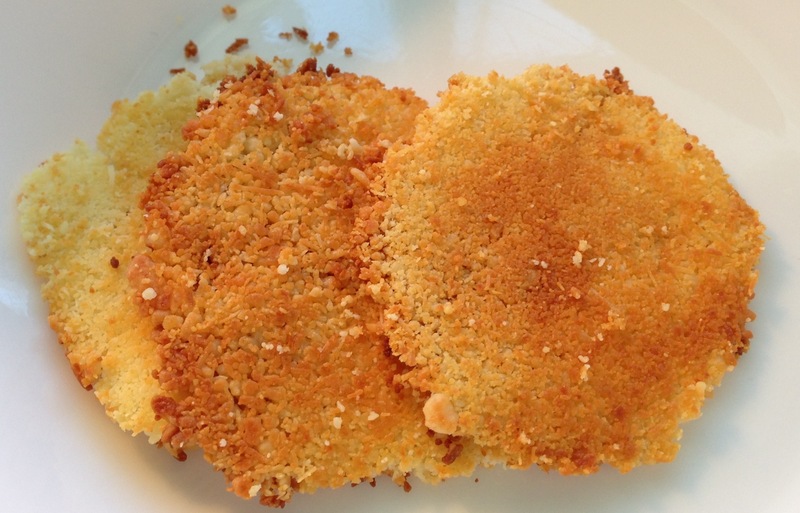 This is a great low carb alternative to crackers or potato chips. It takes just minutes to prepare and is really tasty. You can make this as one large wafer and break it up into pieces or make smaller chips. Either way, the cooking method is the same. Heat a non-stick pan. Pour out the grated parmesan into the pan. If you’re making smaller chips, pour the cheese out into smaller mounds. Using the back of a spoon, gently flatten each mound until you get a thin even layer. As soon as you see the edges start to brown, carefully flip each chip over. Give it 10 seconds and remove from the pan. The chip will set as it cools and become crispy. Serve plain or with a dip. Enjoy!